19/02/2014 - Changes to Italy’s political and institutional systems are crucial to ensuring the success of ambitious reforms currently underway to boost economic growth and raise living standards, according to a new OECD report. In its latest Economic Survey of Italy, the OECD estimates that if fully implemented, reforms introduced in Italy, should raise GDP by an additional 6% over ten years. The report adds that to achieve this, full and effective implementation of the reforms is necessary. Particularly important are the plans to improve the structure of parliament and the division of responsibility between central and regional governments - due to be completed this year - that will ensure more efficient law-making and avoid delays in implementation. This will also ensure that future, necessary reforms, will have a better chance to be approved. The Jobs Act, adopted in December 2014, aims to rationalise employment protection, expand active labour market policies, make social protection more effective and boost women’s participation in the workforce. Full and effective implementation of the Jobs Act would further boost growth and employment. They will also help overcome bottlenecks in job creation. The report emphasises that the reformed standard labour contract for new hires, with employment protection rising with job tenure, needs to be fully implemented and complemented with further improvements foreseen in the Jobs Act. Flexible hours, improved policy on parental leave and affordable, good quality child care should be introduced to encourage more women into the workforce. Labour market reforms will improve Italy’s low productivity growth and will also help potentially high-growth, productive firms to overcome barriers to their development. Additional efforts should also be made to improve the skills of people that often do not match the jobs available. In product markets, the report calls for stronger action to encourage competition into local public services and to continue to lower barriers to entry into the regulated professions and retail trade. Alongside improving prospects for growth, Italy has made major efforts to reduce its deficit with the result that the debt burden should begin to decline next year, the report says. Fiscal plans need to be followed through and a tight rein kept on expenditure. Work is needed to improve value for money in public expenditure, with better transparency and effective action on corruption. Tax reform should include reassessing the wide array of special tax rates and exemptions. 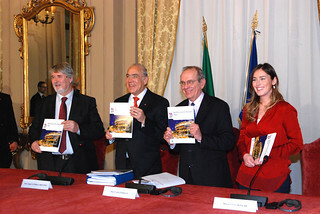 An Overview of the Economic Survey of Italy 2015 in English, French and Italian is available at: http://www.oecd.org/italy/economic-survey-italy.htm.